The third installment in a series of action-packed TPP shooters with persisting noir movie atmosphere. 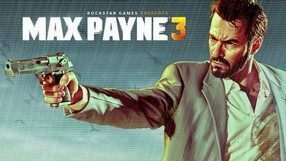 Max Payne 3 was developed by Rockstar Games, who took over the franchise from Remedy Entertainment. The game is set some years after the events presented in the second part of the series. 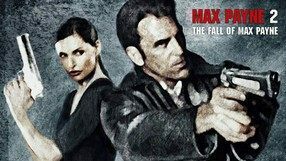 Max Payne, an ex-officer of the New York Police, is forced to accept a job as a bodyguard for an influential family in Sao Paulo, Brazil. Seemingly trivial job soon turns into a vicious struggle for survival. The creators of Max Payne 3 aimed to retain the atmosphere characteristic for the first two games. There is also the series’ trademark feature – bullet-time (slow-motion sequences). At the same time, combat mechanics was overhauled, focusing around a newly introduced cover system. A 3D action game that takes the players to the 1930’s USA, the time when criminal underground flourished. The game was created by Czech developer Illusion Softworks, mainly known for the highly acclaimed tactical shooter Hidden & Dangerous. The story focuses on a rookie gangster named Tommy, who takes his first steps on the path of criminal life by doing jobs for an influential mafia family. Gameplay comes down to exploration of a virtual city and completing a string of story missions, featuring many subplots. While playing, you will engage in street shootouts, bank heists, car pursuits, and assassinations. The creators did their best to recreate the evocative atmosphere of the USA in the 1930s, and implemented weapons and cars from that period. Insanity 2 game engine made it possible to generate interactive, bustling city with road traffic and changing seasons. A sandbox TPP action game. 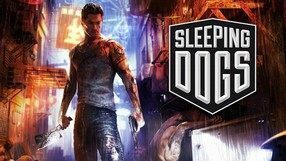 The plot of Sleeping Dogs draws inspiration from Asian action movies, especially the works by John Woo. The main protagonist, detective Wei Shen, tries to infiltrate the structures of a dangerous criminal organization called Sun On Yee. In order to gain the gangsters’ trust, the policeman needs to complete quests for them and come up through the ranks of the organization. The game’s mechanics combine elements of action, shooting, unarmed combat, and even racing. The player has complete freedom in the exploration of virtual Hong Kong and completing side quests. The game emphasizes the moral aspects, depicting the dilemmas experienced by an undercover policeman. A noir detective action adventure game developed by the Australian studio Team Bondi in cooperation with the veterans from Rockstar Games. 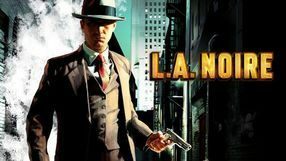 The game invites you into Los Angeles of the 1940’s, a city filled with corruption and drug dealing organizations. You assume the role of Cole Phelps, an ex-soldier who becomes a police officer after the war. The game lets you experience the key moments of Cole’s career, starting from the traffic police all the way through murder and drugs department. Gameplay is mainly about examining crime scenes in search of clues and evidence, as well as interrogating witnesses and suspects. The game also offers multiple action sequences, including pursuits (either on foot or by car), fist fights, and spectacular shootouts. When it comes to graphics, the most noteworthy feature are the realistic face expressions that allow you to judge the reactions of interogatees. The game overflows with a noir atmosphere characteristic of the 1940’ and 50’ movies. A continuation of the extremely successful action game from 2001. Max Payne 2: The Fall of Max Payne is once again developed by the Finnish developer Remedy Entertainment with the help from the publisher Take-Two Interactive. The action takes place one year after events of the first installment. Max Payne is back in NYPD. Unfortunately, the dark past still haunts him – the life of the hero is threatened by Mona – a beautiful killer, who steals his heart. 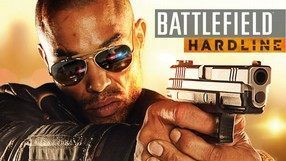 There are not many changes in gameplay – it still combines elements of a third-person perspective shooter and an adventure game. Once again the developers implemented Bullet Time mechanics, offering new movement possibilities (like the thrilling bullet dodging). 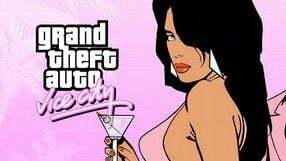 A sequel to the very popular, and rather controversial, game from DMA Design (currently Rockstar North), which offered a taste of criminal lifestyle, letting you commit progressively more brazen and bloody acts of violence. The second part once again takes you to the streets of a virtual metropolis, and although it features only one city, it is much bigger than those in the first game. It is divided into three districts controlled by three local gangs. Players do various jobs for the gangs. With each successful mission their reputation in the group's ranks increases. As it was in the first game, while on a mission, the player can make use of a wide arsenal of weapons as well as more than 120 distinctive vehicles. This time, however, it's not just the police that are trying to get in your way; you will be facing SWAT, FBI, and even the army. Gameplay is presented in top-down perspective, although the graphics are more colorful than before, and accompanied by radio music playing each time you are driving a car. 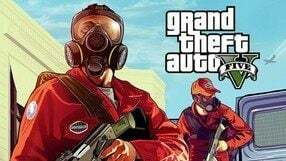 The third installment in the series of action games developed by THQ, combining mechanics known from the Grand Theft Auto franchise with absurd sense of humor. The main protagonist is the same character as in the previous Saints Row games. Together with a group of gangsters he tries to preserve the position of the Saints gang. However, a completely new force is trying to take over Steelport – an international syndicate, called Dawn, that specializes in extortion and racketeering. To make things even worse, many local gangs such as The Deckers and Luchadores are cooperating with the syndicate. The strong criminal element present in the city is being opposed by the STAG group, financed by the government. The game offers many varied missions that focus mostly on rivalry between the aforementioned factions. The game can be played alone or in cooperation mode. In comparison to the previous installments in the series, the developers went even further when it comes to the unique humor, implementing numerous funny costumes, weapons, and vehicles. 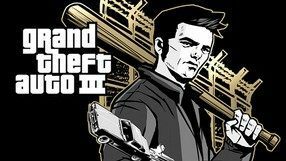 Another installment in the popular action game series, known as the Japan’s take on the Grand Theft Auto series. This time, the developers from SEGA created a prequel of the whole series, taking place in 1988, seven years before the events seen in the first installment. 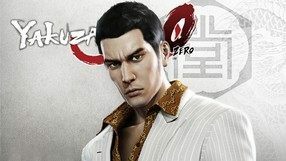 The plot of Yakuza 0 focuses on young Kazuma Kiryu, the series' protagonist, as he began his journey to become a legend in the Japanese underworld. During a gang war for the control of Kamurocho, one of Tokio’s districts, Kiryu meets up with mysterious Majima Goro, who searches for an opportunity to return to the criminal underworld. 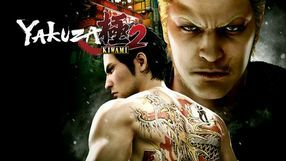 The game is filled with characteristic elements of the series, including a varied story missions, shootouts, chases, and beatdowns. The game world is open, and filled with numerous activities. As per the series traditions, Yakuza 0 retains the suggestive atmosphere of Asian action movies. The fourth installment in a series of popular action games. 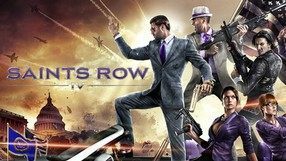 Saints Row IV was developed by Volition, initially cooperating with THQ, later, with Deep Silver. When it comes to the plot, it is a sequel to Saints Row: The Third. An alien invader called Zinyak wishes to take control over the Earth's women and resources. Execution of these plans can be prevented only by the members of the Third Street Saints gang. However, Zinyak manages to capture the leader of the gang and holds them as a prisoner within a virtual simulation of the city of Steelport. Assuming the role of the gang leader, the player has to find a way back to reality and stop the invasion. Saints Row IV offers several new mechanics, such as superpowers the protagonist has at their disposal (superhuman force and speed for instance). A controversial action game developed by the Scotch studio DMA Design. The game takes place in three American cities, based on Miami, New York and San Francisco. 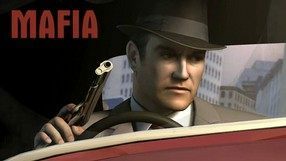 The objective of the game is to complete various missions received from mafia bosses. 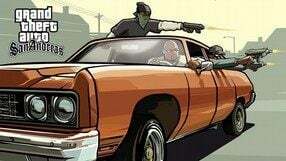 At first the missions are simple (for example, stealing cars), but as player’s reputation increases, the objectives become more complicated and player starts participating in bank robberies, murders and other insolent crimes. The action is shown from a top-down perspective and the game gives complete freedom to the player in terms of exploring the city and preferred means of travel – both in order to complete the mission and to escape from the police. The protagonist gradually becomes more drastic, and the game very brutal. For this reason the game was banned in some countries. 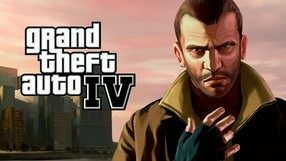 A set of two story DLCs for the fourth installment in the classic Grand Theft Auto series. It was published as a standalone game, not requiring the base game to launch. 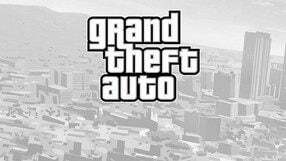 The set introduces two separate stories taking place in Liberty City, the metropolis known from GTA III and IV. The Lost and Damned focuses on a biker gang, known as The Lost, trying to gain the upper hand over a competitive criminal organization. The Ballad of Gay Tony casts the player in the role of a bodyguard protecting a night-club king indebted to the wrong kind of people, who are trying to get their money back by any means necessary. Apart from new missions, Episodes from Liberty City brings a handful of improvements and new features. Among these, it is worth mentioning new weapons and an expanded array of vehicles. The player can now use the parachute as well. Additionally, the creators implemented a multiplicity of new activities, mini-games and many multiplayer mode improvements. A sequel to the first-person online shooter PayDay: The Heist from 2012. Both games were developed by Overkill Software in co-operation with Starbreeze AG. 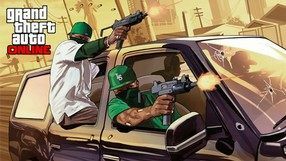 Players become members of a gang that specializes in bank heists, kidnapping, and drugs transportation. The main campaign consists of six dangerous jobs, offered via the CRIMENET system. 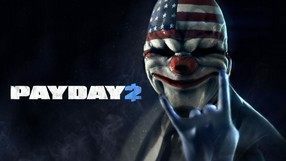 The creators of PayDay 2 took special care to diversify the missions – as some mission elements are random, no two playthroughs are exactly the same. Just as in the first game, gameplay puts emphasis on the cooperation of up to four players. The game's impressive visuals are powered by Diesel Engine 2.0. 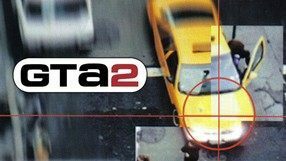 The sequel to the 2006’s third-person action game which was created as a response to the popularity of the Grand Theft Auto series. 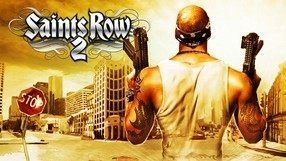 The action of Saints Row 2 takes place several years after the events of the original, when its protagonist, wishing to take revenge on the traitors that made him lose his current influence, finds himself in serious trouble. Mechanics-wise, Saints Row 2 does not introduce too many novelties and bases on the tried solutions of the original. 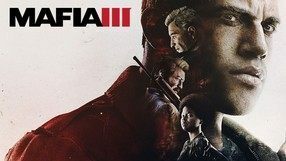 In the game, we once again assume the role of a Stilwater gang’s member, and our tasks it to perform subsequent missions and thus progressively build respect that is essential to buy new vehicles, weapons, or items of clothing. The main differences between the two installments of the series include, first and foremost, a significantly bigger area to explore, a large number of previously unavailable vehicles, and even richer customization options for the protagonist. Another installment in the popular FPS franchise. Visceral Games, the studio known mainly for the excellent Dead Space sci-fi series, developed their first major installment in the long-standing Battlefield franchise. It's a result of the transition of the franchise to a two-year production cycle, similar to the one made by its competitor, Call of Duty. Unlike the previous parts, this one is focused on the efforts of police forces against organized crime. The player assumes the role of a young detective Nick Mendoza and has to face his former partners whose desire to get rich quickly pushed them to choose the life of crime. The production features an original method of storytelling reminiscent of popular police TV shows. Despite the introduction of a new theme, the characteristic features of the franchise remained unchanged: impressive arsenal of weapons, fully destructible environment – thanks to the Frostbite engine – and a well-developed multiplayer, in which you will find completely new game modes, such as Blood Money and Heist. Another entry in the series of economic strategy games in which the player assumes the role of an owner of a pizzeria. The first game in the series debuted in 1999 and its sequel was released one year later. In the third installment the player is tasked with transforming a small business into a giant network of restaurants scattered across the world. Like before, one of the greatest attractions of the game is a pizza creator that enables the player to create his own versions of the titular dish by using more than 75 ingredients. In addition to that, the player must take care of his business – manage the restaurants and employees, decorate the buildings and perform market analyses. From time to time he must also face his competition, not always according to the rules of fair play. 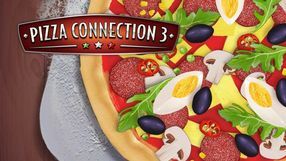 The main mode of Pizza Connection 3 is a story campaign. It starts in Rome, but gradually the player conquers other markets as well. The title also offers a sandbox mode in which the player can freely expand his business. It is worth mentioning that it is the first three-dimensional entry in the series. A sequel of the well-received action game based on the novel by Mario Puzo and its movie adaptation by Francis Ford Coppola. 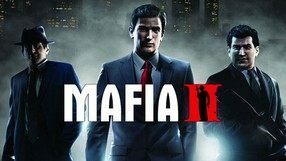 This time the game is set in the 1960s where you play as a rookie gangster, trying to earn the respect of the criminal underworld and get to the top of the mafia hierarchy. Compared to the original, The Godfather II features a much larger world, now spanning over three cities: New York, Havana and Miami. The gameplay is based on that of the first installment, although some strategy elements have been added. You can now not only get new members for your gang, but also manage whole districts in the Don's View mode, in which the camera goes from TPP to bird's eye view, and you can see the bigger picture of the situation in your controlled area. The visuals have been greatly improved, and they're complemented by the music based on that from the movie. Moreover, the voice cast of The Godfather II includes e.g. Marlon Brando and Al Pacino.